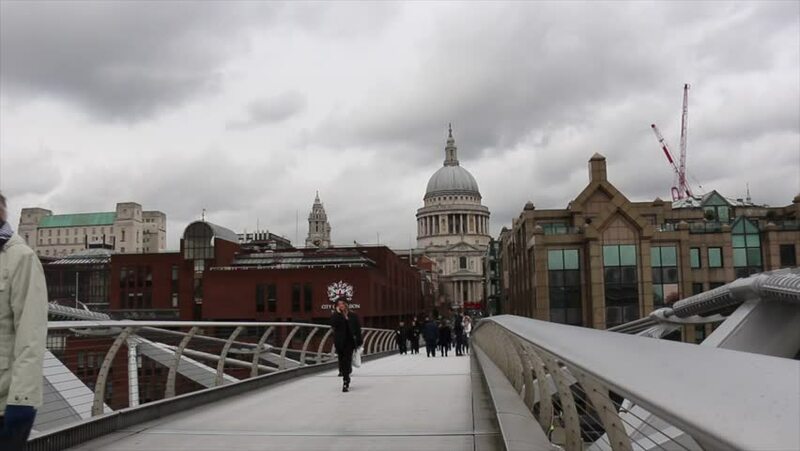 4k00:18LONDON, UK - CIRCA SEPTEMBER, 2017:Commuters and tourists crossing the Millennium bridge with St Paul's Cathedral in background, London, UK, slow motion, 4k. hd00:21SAINT PETERSBURG, RUSSIA - FEBRUARY 22, 2013: View on Red Bridge across Moyka river, old building facades near by and St. Isaac's Cathedral at the distance in winter day. 4k00:14Pan shot of view of Rome, Italy, in a rainy day. Wide angle.